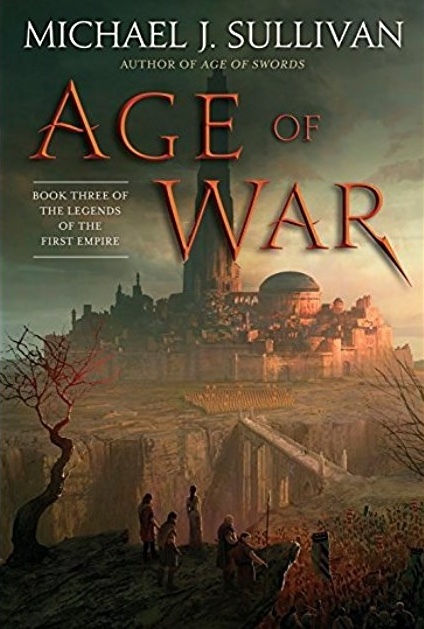 Age of War by Michael Sullivan, fantasy. I originally read about this fantasy series, The Legends of the First Empire, in the blog Black Gate, and was sufficiently intrigued to get the first book, The Age of Myth, from the library. At the time it was described as a trilogy. Since Sullivan writes all of the books in a series prior to the publication of any, I thought surely it would be safe to start a series of several books. I didn’t count on the publisher’s plans however, to only publish one book a year. Drat. Still, the first two were at the library, and this, the third, must surely be available soon, and it was. I didn’t count on the long wait for this at the library, but finally it came. I enjoyed it a lot, perhaps even more than the first two, and am quite satisfied with the series. But there is a hiccup. Sullivan decided he couldn’t cram everything into three books, and has expanded the story to four (or more??). I’ll have to wait until April ’19 for the next, (perhaps) concluding volume. Aaarg. Yet these are very good indeed and I look forward to Spring and the next book. 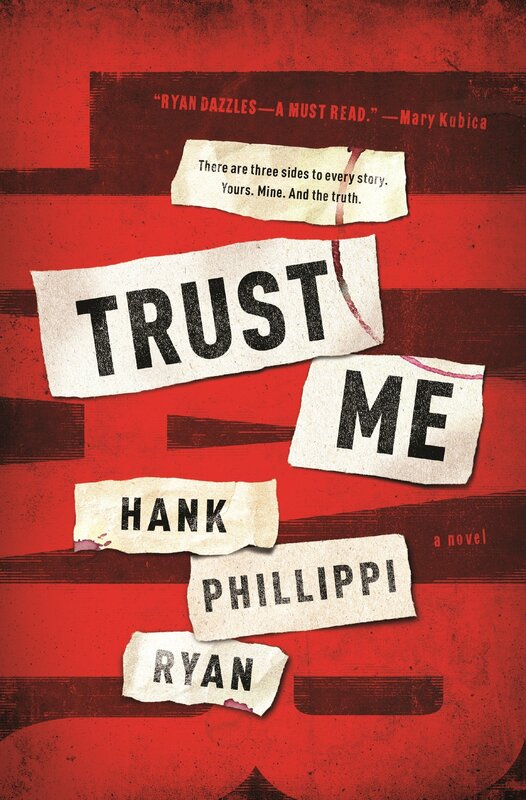 Trust Me by Hank Phillips Ryan, mystery/thriller. I’ve read the first two in Ryan’s Jane Ryland books, The Other Woman and The Wrong Girl, and liked them, so I thought I’d try the stand-alone mystery-thriller. I thought it was good, but not compelling enough to exclaim “wow!” at the end. Ryan is a solid writer and I look forward to more from her, but this wasn’t my favorite of her books that I’ve read so far. Give a shout when that fourth FIRST EMPIRE book comes out. Until then, I don’t want to be tempted. I’m reading The White Buffalo by Richard Sale, The Spirit Archives Vol. 1, Mickey Mouse: Race to Death Valley, and Cheap Shot – Ace Atkins’ third Spenser book. Will do. I believe it’s April. Richard, I wish I had the time to read Michael Sullivan’s fantasy series. Too much already on my reading platter. Maybe early next year. I’m currently reading the seventh and final instalment of J.K. Rowling’s HARRY POTTER AND THE DEATHLY HALLOWS, which is long overdue. I read the other six a few years ago and watched the film adaptations several times with my grownup kids. Interesting you read the others and left this one unread. I thought the series slowed toward the end, but I did finish it. Finished the Sally Field bio, which was strange but well-written. Also MY NAME IS LUCY BARTON (Strout), which was was strange but well-written. Finished the proofs for the new edition of MONKEY JUSTICE. Don’t know how the copy editor found so many tiny things, She is more of a comma person than most editors nowadays. Recommend the piece in this week;s NEW YORKER about the use of scribes by doctors. I didn’t know about a new edition. I’ll keep an eye out for it. Yes, Barbara is more of a “comma person” than I am, and I doubt either less or more is hard, correct usage. I am still reading The Dusty Bookcase by Brian Busby, a bit at a time. I finished Entry Island by Peter May, and also read The Unsuspected by Charlotte Armstrong. We are going to watch the movie with Claude Rains sometime soon. I have re-discovered Armstrong and am glad I have a few more of her books on my shelves. Now I am reading Iron Lake by William Kent Krueger. Like Prashant, I have read the first six Harry Potter books and the seventh has been sitting on my shelf for years. I am thinking about reading it before the end of 2018. I am about a third of the way into the book and liking it a lot. I am glad that you recommended it. Trust me, the second book is better. I started answering before but messed it up as we were going out. Anyway, I read the new Michael Connelly book, DARK SACRED NIGHT. Frankly, I preferred the last two books withHarry Bosch and Renee Ballard to the one of the two together. Not a Bosch fan, the last I read was Concrete Blond when it was the newest one. Huge Bosch fan. Loved Dark Sacred Night. Just read Sunrise Highway by Peter Blauner. Good but not great. Read Roger Daltry’s autobiography Thank You Mr. Kibblewhite. Again interesting but not great. Read the new SF novel by Lavie Tidhar. Loved it. Tidhar is one of my favorite current SF writers. And finishing up Rogue Protocol by Martha Wells. The 3rd of 4 short novels in her Murderbot series. Enjoying them. Never could get interested in her fantasy novels. Too many books. Not enough time. I read Stephen King’s latest, ELEVATION, which is really a novella but King can publish just about anything and his publishers will call it a novel. It’s a riff on an earlier novel (THINNER, as by “Richard Bachman”) as well as a paean to Richard Matheson. Interesting and somewhat upbeat. Walt Longmire travels to Mexico to face off with a vicious drug lord who has kidnapped Longmire’s daughter in Craig Johnson’s DEPTH OF WINTER. Good action and good characters and a chance for Johnson to write about a landscape different than his beloved Wyoming. Recommended. I also read STAR OVER BETHLEHEM by Agatha Christie Mallowan (note the last name), which was my FFB this week. A slight collection of Christmas/Christian tales and poems from the queen of Mystery. Also Gordon R. Dickson’s ALIEN ART, a rather underappreciated SF work from 1973. Not outstanding but damned good. And finally, Julian Hanshaw’s CLOUD HOTEL was a surrealistic graphic novel about a man captured by aliens. If the book had a message it was lost on me. Terrible weather here with low temps, severe storms, tornado warnings, and flash flooding. I hope things are much better in your area, Rick. I’m reading a bunch of Library books, mostly short story collections, which I prefer when I’m traveling. In the On-Deck circle is McDevitt’s THE ART OF WAR. I’ll give you the rest of the reading when I get back to the hotel and dry out. It is pouring now. Is anyone able to read short stories in bed? I can only get to sleep with the lull of a novel. The Consuming Fire by John Scalzi. The Hidden, short story collection by Brendan DuBois. Currently reading Jodi Taylor’s What Could Possibly Go Wrong? Just finishing BURY ME DEEP by Harold Q. Masur. Will post an FFB review soon.